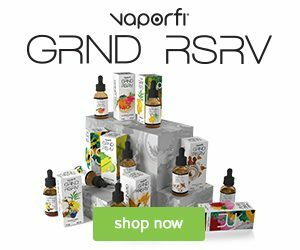 Kilo E-liquid Review – A Proper E-juice? 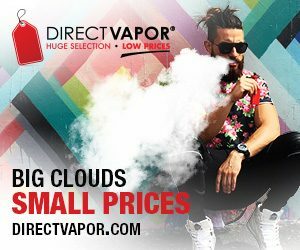 Kilo E-Liquids has been around since 2014 when vaping first started to boom. They’ve been taking names since the beginning and continue to do so with every vape juice they released. If you haven’t tried Kilo Vape Juice, we’ve got you covered with our full review of every flavor blend from this premium vape brand. Cereal Milk brings you the flavor you can only find at the bottom of your bowl after you eat all of your favorite cereal. This vape juice brings you the delicious flavor of milk that has soaked up the best flavors of your cereal. Indulge in your cereal cravings in this all-day-vape. With every inhale your senses are overwhelmed with the taste of creamy milk that provides just the right amount of sweetness to kick your sweet tooth to the curb. Dewberry Cream delivers the flavor of honeydew drenched in cream with a hint of mixed berries for the smoothest vape juice you’ll ever vape. 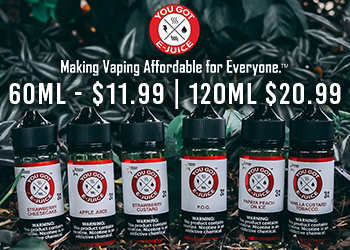 This vape juice takes juicy honeydew, an assortment of mixed berries and covers them in cream for the creamiest vape juice. As you inhale Kilo Dewberry Cream, the taste of honeydew smothers your senses. Then, the mixed berries joined with honeydew in a tango across your taste buds. As you exhale, the cream taste joins in on this elaborate dance on your tongue; giving you goosebumps from the taste. Dewberry Fruit combines the taste of syrupy honeydew, toothsome melons, and tart berries. This combination provides a well-rounded flavor that will have your taste buds bouncing off of the walls. As you inhale, the syrupy honeydew taste hits your taste buds like a brick wall. Then, the sweet melon flavor merges with the honeydew to create a perfectly sweet taste. As you exhale, the tart berries tone down the sweetness resulting in a flavor that has just the right amount of sweetness. Who would’ve thought to blend together strawberries kiwi’s and cover them in cream? Kilo did and it resulted in one of their best-selling flavors. The Kilo Kiberry Yogurt blend provides the taste of strawberries covered in cream for a sweet flavor that is just enough to kick those sugar cravings. As you inhale, the taste of strawberries covered in cream assaults your taste buds in the best way. As you exhale, the kiwi balances out the sugary strawberry taste. True Blue is a blueberry vape juice that delivers you the most authentic flavor on the market. Tru Blue by Kilo tastes as if you were biting into a blueberry pie with every puff you take. The blueberry dessert flavor this vape juice creates is something so luscious you will have to sit down from the shock. With every inhale and exhale, the taste of freshly baked blueberry pie washes across your taste buds in a light but flavor-packed way. Cure your fruit and sweet cravings with this mouth-watering vape juice. Fruit Whip brings you the taste of crisp apples, sweet pears, tropical fruit, and a mix of berries that are then mixed with Kilo’s signature cream. The flavor this vape juice provides is something that is on a completely different plane than you’ve ever tasted before. As you inhale, the fruit concoction hits your taste buds like no other. 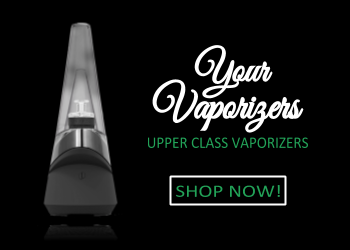 You will be able to pick out a different flavor with every puff you take. As you exhale, the cream joins the fruity taste giving you the best flavor you will ever receive from a vape juice. Bring yourself back to your childhood of chasing down the ice cream truck for your favorite ice cream with Ice Cream Sandwich by Kilo. This vape juice provides you the most accurate taste of an Ice Cream Sandwich. The vanilla ice cream smashed between the chocolate cookies will bring you the most delight you can get from a vape juice. With Ice Cream Sandwich you won’t know if you’re eating an ice cream sandwich or vaping. Cereal is what keeps the world spinning, so having it within reach at any point during the day will keep you as happy as can be. Many brands have tried to make this flavor and few have succeeded. Kilo has done the best of them all because their flavor has the perfect mixture that keeps your mouth watering. 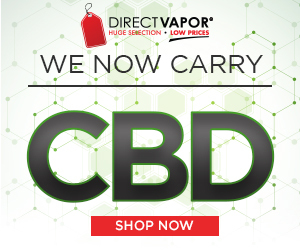 With the use of only genuine products, you won’t have a single moment of gross aftertaste, and you’ll want to use this vape juice forever as your all day vape. White Chocolate Strawberry will bring you that white chocolate flavor with every hit. Every strawberry was freshly harvested and drowned in a thick coat of that intoxicating white chocolate. This vape juice will bring you true satisfaction with each puff, and your sweet tooth will be a thing of the past with with guilt free. White Chocolate Strawberry will bring you joy from first drop to the last. As you inhale and exhale all you’ll taste is the delicate flavor of strawberries dipped in white chocolate strawberry, a taste you’ll never get tired of. Kilo’s cinnamon roll flavor is truly irrefutable with its veritable flavor. Your taste buds won’t be able to tell the difference between the taste of this vape juice and an actual cinnamon roll. This vape juice brings you the taste of a pastry that has been coated with rich creamy icing that will sedate your sweet tooth. Don’t wait your time going to the store for the taste of a cinnamon roll because Kilo Cinnamon Roll vape juice will bring you that scrumptious taste with no remorse! Apple Pie brings you the intense flavor of a freshly baked apple pie with with fresh apples, cinnamon sugar glazed on top and baked to perfection. As you inhale Kilo Apple Pie, the taste of freshly picked apples baked just right to make them a nice gold brown color with the sweetest flavor. Then, the taste of the cinnamon sugar glaze combines creating a slight spice taste. As you exhale, the precisely baked pie crust flavor mixes in creating the best apple pie flavor you’ve ever tasted, so good that it might be better than the real thing. Birthday Cake brings you the memories of blowing out birthday candles and devouring that coma inducing birthday cake. This yellow cake topped with vanilla icing and rainbow sprinkles is a vape juice made for the Gods, dripping with honey-like sweetness. As you inhale, the taste of the yellow cake washes over your taste buds like the ocean washes up on shore. As you exhale, the vanilla icing and sprinkles joins in to create the best birthday cake flavor you’ve ever tasted. Honey Creme brings you the taste of the creamiest vanilla ice cream in the world. This vanilla ice cream also has a gooey honey drizzle and crushed roasted nuts on top to make for a mouth-watering dessert. This vape juice brings you all of the satisfaction of ice cream, without the possibility of a brain freeze. As you inhale Kilo Honey Creme, the cream vanilla ice cream flavor hits your tastes buds instantly. As you exhale, the gooey honey and roasted nuts combines with the creamy vanilla flavor to leave your taste buds feeling the best they’ve ever felt. Milk and Cookies vape juice is sure to be your cup of tea… or should I say glass of milk? Milk and Cookies by Kilo is a vape juice that has dessert lovers going crazy. The satisfying taste of a freshly baked cookie with just the right amount of chocolate chips followed by the taste of a tall glass of milk is captured so perfectly in this vape juice your sweet tooth with be nonexistent. As you inhale and exhale, the cookie and milk combo will be the best thing you’ve ever tasted. Dillinger one of the two flavors in the Nasty X Kilo Series brings you the taste of ripe honeydew, juicy melons all blended together with a menthol base. This vape juice is sure to send your taste buds on an adventure of flavor. With every inhale, the taste of honeydew hits your taste buds in the most delicate way. Then, the taste of juicy melons hits your taste buds, combining with the honeydew to create the best melon blend you’ve ever tasted. As you exhale, the menthol base soothes and refreshes your taste buds so you’re always ready for your next puff. Gambino ejuice by Nasty X Kilo is a strawberry banana vape juice with a twist. This twist is a hint of orange. This out of the box flavor will bring you a joy you’ve never felt before. With every inhale of Gambino ejuice, the taste of strawberries hit your taste buds like never before. Then, the subtle taste of oranges comes into play to give it a hint of citrus and even more of a juicy flavor. As you exhale, all of the flavors come together including the banana to create the best strawberry banana vape juice you’ve ever tasted.